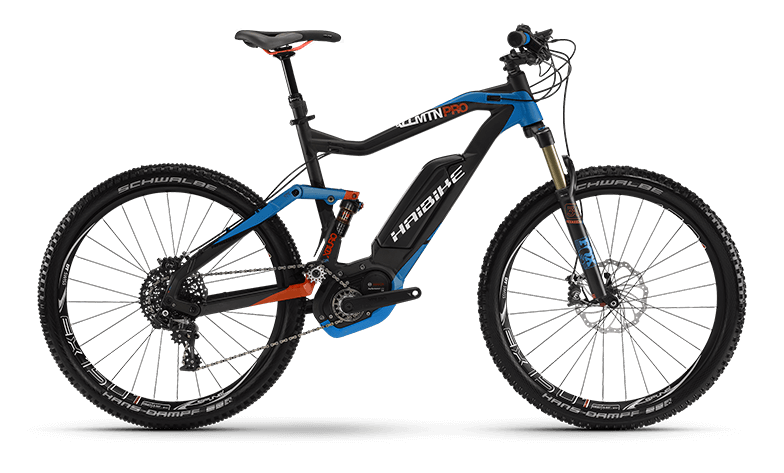 This ePerformance bike is perfect for every mountain ride. The AllMtn PRO provides a neutral and central seating position for a balanced uphill and downhill experience even on long rides. The 150mm chassis and the Haibike SES system work together to create a responsive suspension, and the Haibike Agile Geometry Concept (AGC) ensures performance. The new Bosch Performance CX motor also opens up new possibilities in terms of dynamics and range. The XDURO AllMtn Pro guarantees you will conquer every peak.